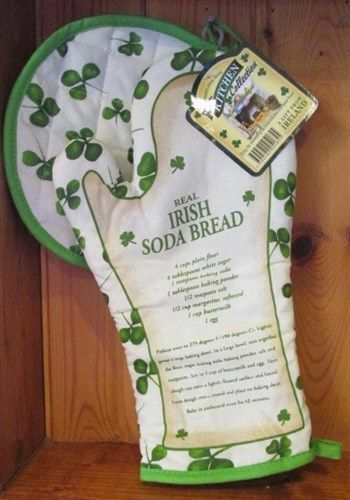 Connemara Kitchen Oven Glove and Pot Holder Set. Bring the warmth of an Irish kitchen into your home. 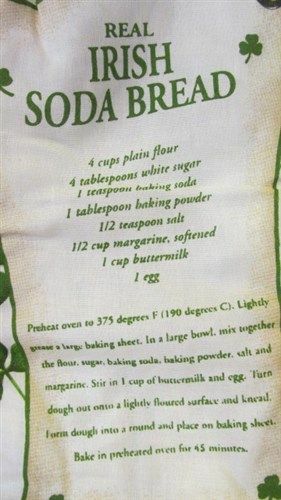 Oven mitt features a traditional Irish Soda Bread Recipe. Beautifully scripted and decorated with shamrocks. Conforms to BS 6526 1998 CL 4.3 Thermal insulation requirments.